I'm not exactly sure who I am adressing this to or have any idea where the E-mail is going. if its even going anywhere. 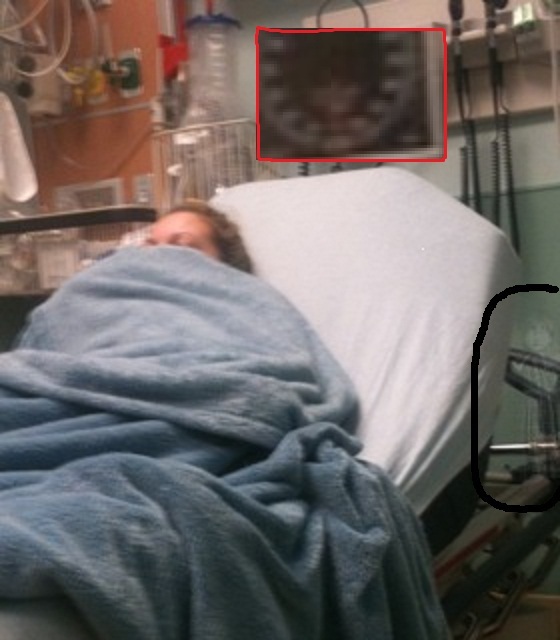 but I believe I have a photo taken of me when I was in the ER in Lodi CA. it was taken December 30, 2010 around 10 - 10:45 at night. MY mom and friend were the only ones in the room with me tryin to take pictures to lighten the mood and the next dday my friend came to me and showed one of the pictures with his phone. 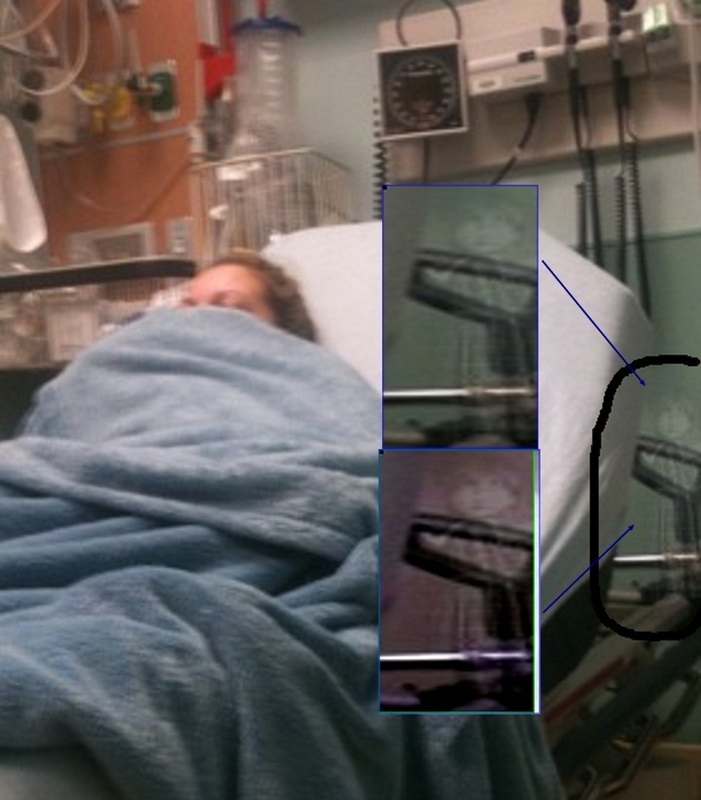 In the backgroung to the right of the photo there seems to be an unexplained image. It looks like a little child in all black in white. You see everything from a face all the way to the bottom where the feet would be but there isnt any feet. This is completely true no photoshop & no alterations made. Its REAL. and I'm a little scared. I havent been able to sleep right since I've seen this. I've always felt weird and unexplainable things and events have happened alot throughout my life and I'm only 16. I am just trying to get an understanding of whats going on with me or if there is something following or looking out for me? wow, thank you. i dont feel as bad now. it just scares me sometimes not being able to quite understand it even. you can use my story and photograph anywhere you would like. it is something to be told. if you have any question id gladly answer. before you answered my message i had sent it to one other. and they told me that because of the phone it was taken on that it wasnt good enough and they told me it was fake. when it is 100% real. if this wasnt something real i wouldnt be dumb to waste someone elses time. i just really wanted to be able to share it with somone who would appreciate it and that could help explain what it was and why it was there. 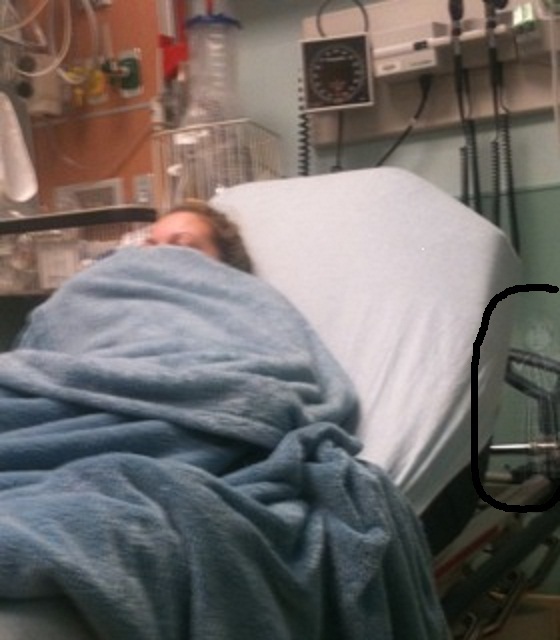 The night i was in the hospital before everything got worse that entire day i just felt horrible. not a sick horrible but a mental thing. ive always been a happy kid nothin but a smile on my face. ive never before been suicidal but all that day all i could think about was dieing. i didnt tell anyone this till after i took a closer look at this picture. then i tought tons of things. i assumed it was there because i wanted to die or because it wanted to help heep me level headed and get through things. i still dont quite understand. thank you for listening it means the world to me. everyone else just thinks i'm nuts.